Dyett Hunger Strike: Chicago activists refuse food to save neighborhood school. 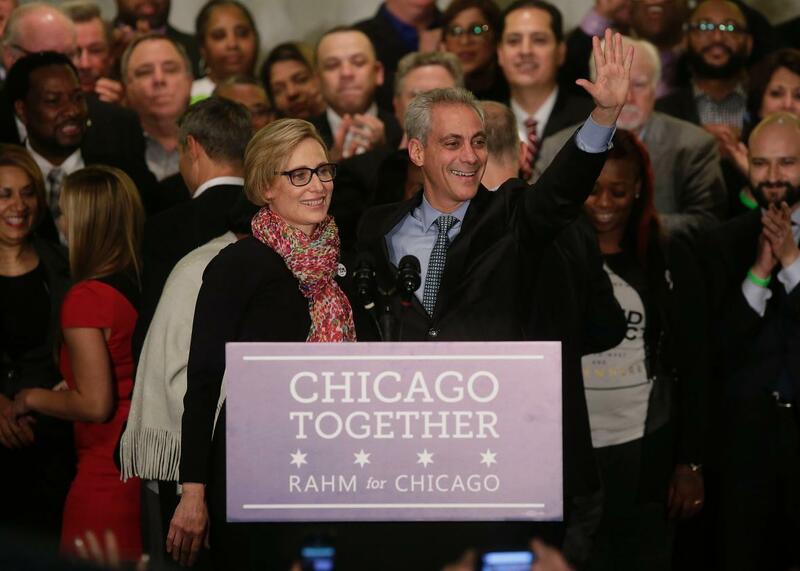 Rahm Emanuel has been a divisive leader of Chicago, not least of all for his decision to close schools like Dyett. In the Bronzeville neighborhood on the South Side of Chicago, a dozen parents and community members have gone 11 days without eating to protest the closure of their neighborhood school. In 2012, Chicago Public Schools announced plans to shutter Walter H. Dyett High School because of low enrollment and poor academic performance, a move that community activists had been fighting for several years. Since the phase-out of Dyett got under way, those same activists—under the aegis of the Coalition to Revitalize Dyett High School and other community organizations—have been rallying CPS to build a new, open-enrollment neighborhood school in place of Dyett. Why is this fight still ongoing? These parents have been legitimately asking for equal, high-quality public education in their neighborhood. We want to know from the mayor, the school board, why that has been blocked. The Dyett closure is the latest chapter in a long-running saga that has defined Chicago during the mayoralty of Rahm Emanuel, who in 2013, in the name of school reform, announced a plan to close 49 schools, almost all in poor, black neighborhoods. It was Emanuel’s controversial education agenda that was at the core of Chuy García’s union-backed challenge against him earlier this year. The Chicago Teachers Union, which in 2012 went on strike for seven days, has shown support for the Dyett dozen, as have national teachers unions. Chicago’s school budget problems are well known; on Tuesday, the city’s Board of Education passed a $7 billion budget with a gaping $480 million hole in it and merely the expectation, without any firm commitment, that the state will fill it. The dozen strikers, several of whom have been hospitalized (one immediately after speaking at a CPS meeting), remain sitting in front of Dyett all day. They’re vowing to continue consuming only water and light liquids, like vegetable broth, until they see some resolution to their fight for an open-enrollment school in their neighborhood. The story of Dyett is remarkably parallel to the one Jelani Cobb tells in this week’s New Yorker, about the closure last year of Jamaica High School in Queens, Cobb’s alma mater and not so long ago a crown jewel of the New York City public school system. The death of Jamaica High, like the death of Dyett, can be traced not just to broader demographic changes in the community—higher poverty rates, more English-language learners—but to how the municipal powers that be deal with those changes. You can give the schools the additional support they need, or you can abandon them in the name of greater choice. In a way, the protests over school closure are a bookend to the riots that broke out over busing four decades ago. Like “busing” and “integration,” the language of today’s reformers often serves as a euphemism for poverty mitigation, the implicit goal that American education has fitfully attempted to achieve since Brown v. Board of Education. Both busing and school closure recognize the educational obstacles that concentrated poverty creates. But busing recognized a combination of unjust history and policy as complicit in educational failure. In the ideology of school closure, though, the lines of responsibility—of blame, really—run inward. It’s not society that has failed, in this perspective. It’s the schools. The Dyett strikers aren’t willing to accept that formulation.